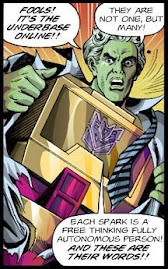 Based on Hasbro’s Transformers: Armada toyline of the time, Melbourne House opted not to adapt the cartoon or comic into video game form. Instead they carved out their own little take on Armada. The paper-thin story revolves around rescuing Mini-Cons, tiny Transformers with special abilities, before the Decepticons can capture them and use them for their own evil deeds. Choosing from a team of three Autobots, you can charge into battle using either the slow but powerful Optimus, the speedy but lightly armored Hot Shot, or the balanced Red Alert. The game makes great use of the Mini-Con gimmick. 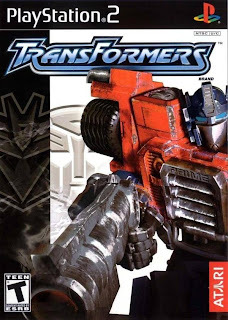 It’s simple enough; find one of the tiny Mini-Cons hidden somewhere in the vast open-world levels, equip it to one of the PS2's shoulder buttons, and gain access to a huge variety of weaponry, armor, and extra abilities. You can spend hours just playing around and experimenting with all the crazy options (tornado canon!) at your disposal. Even weapons that seem useless at first, such as the tractor beam, turn into guilty pleasures when you get the hang of whipping the tether around and flinging enemies miles off into the distance. 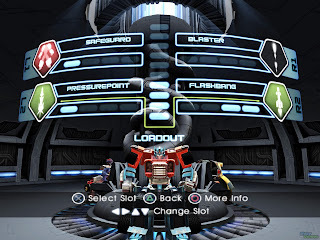 And equipping Mini-Cons is absolutely essential if you want to have any hope of completing the game. A power level puts a cap on how much Mini-Con power you can handle, so you can't just load up all the most powerful 'cons and head out. You'll have to think more tactically about your loadout. . . unless you're using the cheat code that takes the cap off. The boss fights are definitely the highlights of the game, though you’ll only face off against four actual Decepticons (Cyclonus, Starscream, Tidal Wave, and Megatron). It doesn’t matter though! Each fight is a memorable spectacle, a firestorm of awesomeness that will be burnt into your memory forever after. 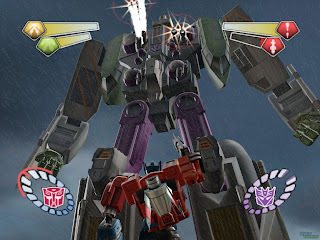 Tidal Wave is bigger than Devastator in “Revenge of the Fallen!” The only downside is that there’s no option to replay any of the boss battles after completing them. If you want to take down the big bads again, you’ll have to either replay the game or plug in a code. It’s a shame, really. It would’ve been a nice bonus to take on the early bosses again with all of the Mini-Cons backing you. In addition to the Mini-Cons you have mapped to the shoulder buttons, each Autobot is accompanied by their own Mini-Con sidekick that travels with them through each level. Tap square to powerlink with your Mini-Con, and you’ll be sent into a slow motion bullet-time where enemies seem to move through a duotone haze of molasses and your gun unloads plasma blasts at a metal-shredding rate. Use the powerlink at your own risk though. Doing so drains your energy to within an inch of your life. Enemies always drop health, so there’s the payoff if you use this high risk move. 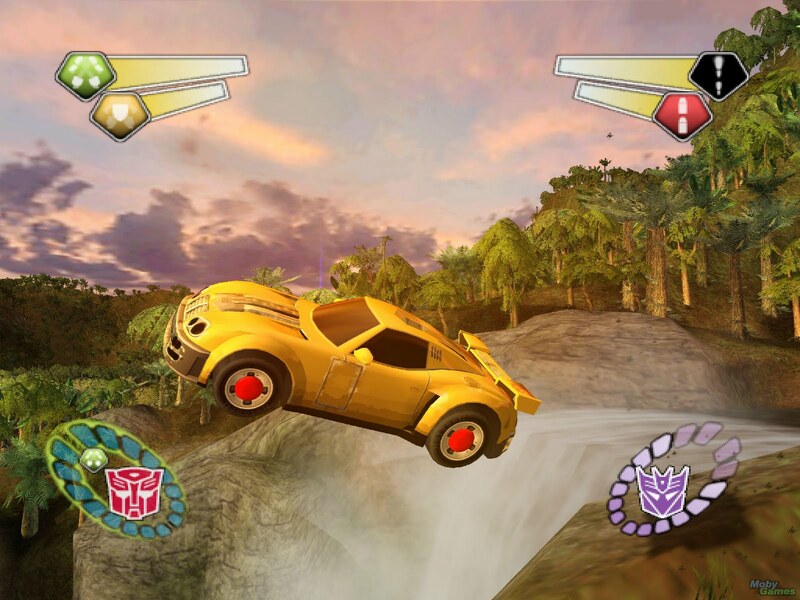 Graphically, Transformers is still a pretty game even now. Radiant sunlight cuts through the dense jungle canopy, every blade of grass and tree leaf is rendered. 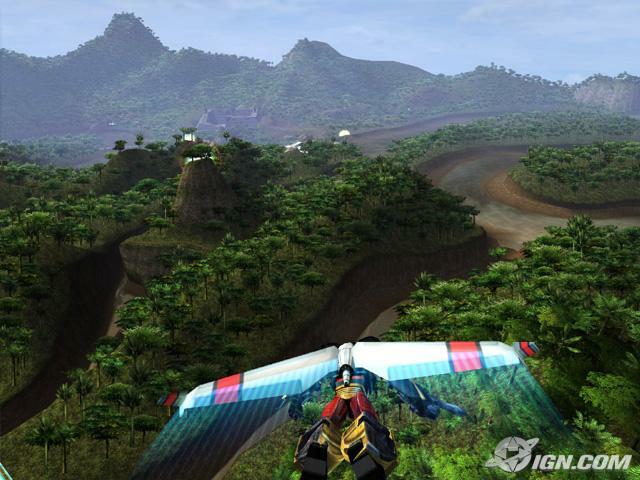 The immense sandbox locales are some of the most beautiful you’ll see on the PS2. Whether you’re traipsing through the amazon, through the barren arctic, or the islands of the Pacific, you’ll find yourself wanting to stop and check out every detail, and not just to scope for patrolling DeceptiClones. The two Amazon levels in particular seem to have a higher degree of polish. The jungle just goes on forever! Unlockable content includes postcards. No, really. Exploration is rewarded in the form of hidden Mini-Cons and Data-Cons, some of which are located in hard-to-reach areas that will require a bit of skill. With the Mini-Con glider, Slipstream, and dash-boosting Fullspeed, I tried flying to the most distant chunks of land on the far horizon of the Pacific. And even though I could never reach it (damn you, invisible wall!) I always felt like I could. The highest point of any area feels just within reach and there’s always more than one way to traverse a level. Whether it’s on land, by glider, or by hijacking DeceptiClone dropships, you can tackle each challenge however best suits your play style. Or y'know, just drive through them. Decent voice acting punctuates the experience as your team occasionally calls you up to deliver your next objective. 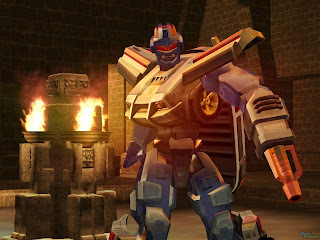 Don’t expect any witty banter during actual gameplay though a la “War for Cybertron.” Grunts, groans, and all other manner of verbal expression are all absent from both the Autobots and the DeceptiClone army. What’s there is good, but it’s not much. Veteran voice actors, David Kaye and Gary Chalk reprise their roles as Megatron and Optimus Prime respectively, and astute listeners will hear Daran Norris (Knockout of Transformers: Prime) make his Transformers debut here as Red Alert. 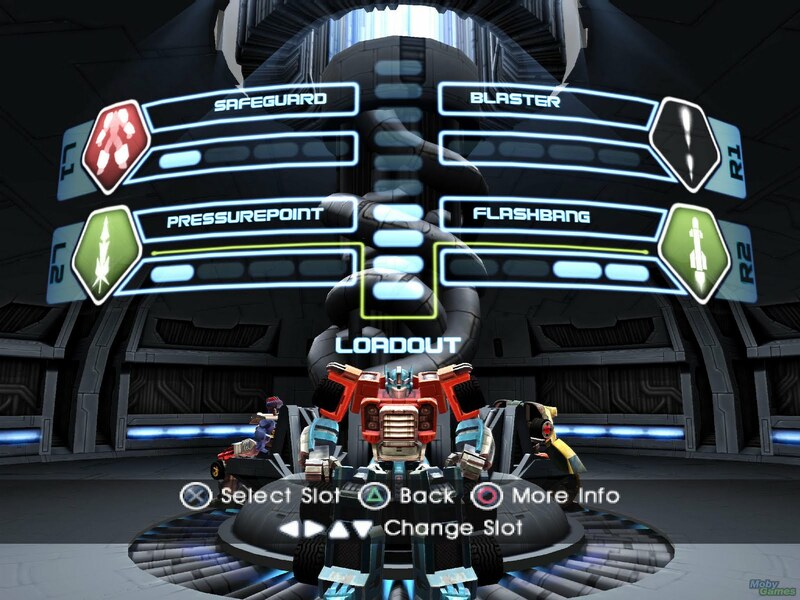 The hardest choice you’ll have to make is whether you want to plow through DeceptiClones as Optimus Prime or have him brief you during a mission when you play as Hot Rod or Red Alert. Red Alert demands one picture in this article. What the game lacks in voice work, it delivers with the soundtrack. 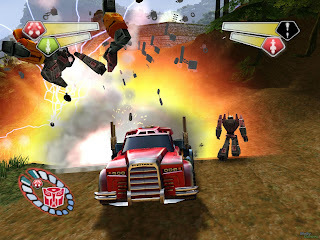 The ambient tunes perfectly suit each location and ramp up in intensity when you run into a nest of DeceptiClones. Each of the five bosses gets their own theme song which range from hard rocking to epic orchestral. It’s hard to pick a favorite, but I gotta’ say Cyclonus’ theme is pretty damn cool. As good as this game is, it’s hard not to want more. Only three Autobots to choose from? Only four Decepticons in the whole game? The DeceptiClone army serves as decent canon fodder, but they’re borderline generic and not one of them transforms with exception to the Rollarm units. Each level is gigantic and offers endless hours of exploration, but for all their vastness, not one takes place within a city, where the Autobots’ vehicle modes would’ve made the most sense. There are some long stretches of land to cover in vehicle mode, but a lot of it is so densely covered in jungle or rough terrain, that it doesn’t seem as though much effort was put into making transforming relevant. It is, however, a lot of fun to drive through waves of enemies. There’s no sound more satisfying than that of drones exploding in rapid succession. The final battle against Unicron is the epic cherry on top of the sundae, but you’ll only see him in his planet form. Why oh why can’t he transform?! The bonus content, unlocked by finding Data-Cons, is plentiful and will keep die-hard fans scouring the levels for every last one. However, once you’ve found all the Mini and Data-cons, there’s nothing left to do. I hesitate to say it has little replay value, because I’ve replayed it more than any other PS2 game I own. Still, I wish there were more to do.